Sometimes when you're a pirate you have to make sure everybody around you knows that you're the one in charge and you mean business. 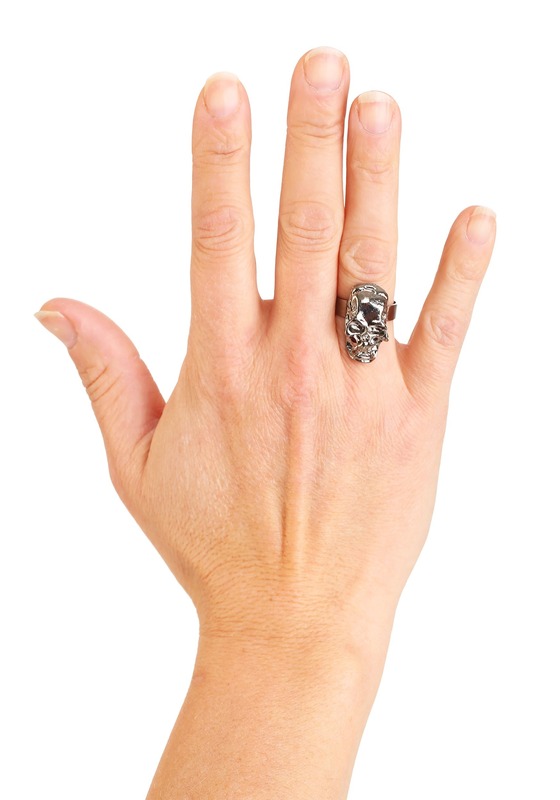 One of the most effective ways to do that is by wearing skulls or bones wherever you can. The problem with this is that although it does establish your toughness, bones just aren't a very pretty thing to wear by themselves and they can smell a little bit too much for people to be able to, let alone want to stick around and listen to what you have to say. 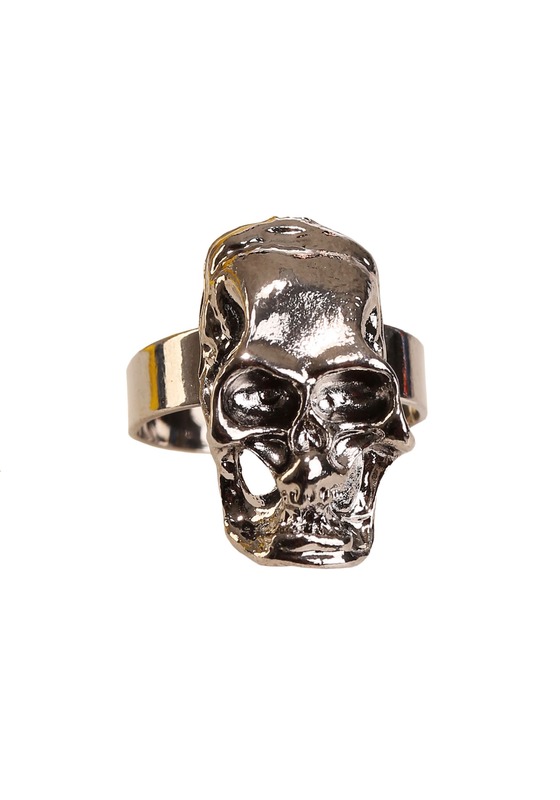 Get a load of this skull ring though. It can both show your power as captain and show off your wealth. There's absolutely no smell to it either so the rest of the crew can respect you as the only person on the ship who bothers to shower every now and then. Not a pirate? This also works great for a vampire or goth costume.